STARRING: Joan Collins, Chloe Franks, Ian Hendry, Angie Grant, Robin Phillips, Peter Cushing, Richard Greene, Barbara Murray, Roy Dotrice, Nigel Patrick, Patrick Magee and Sir Ralph Richardson as the Crypt Keeper. When Joanne Clayton (Joan Collins) bumps off her husband for the insurance money on Christmas Eve, she’d better watch out. It seems a deadly Santa Claus is coming to town. A frightened Clayton nonetheless sees a way to use the situation to her advantage, but her excited daughter (Chloe Franks) has other ideas. Carl Maitland (Ian Hendry) leaves his wife and children for his lover (Angie Grant), but in their attempts to make a getaway, the journey takes an unwelcome turn. In its aftermath, a disorientated Maitland tries to make sense of the situation, but life seems to have moved on without him. 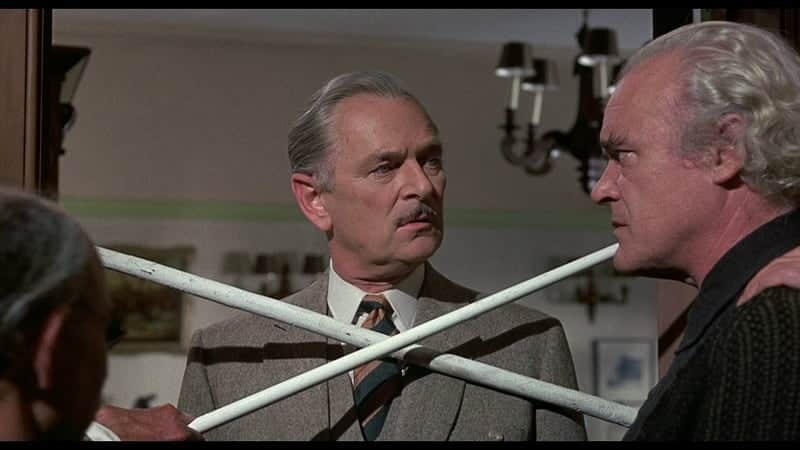 Vicious James Elliot (Robin Phillips) takes an immense dislike to widowed neighbour Arthur Grimsdyke (Peter Cushing), and attempts to hound him out of the neighbourhood. However, a nasty turn of events leads to Elliot getting an unwanted Valentine’s Day gift. Businessman Ralph Jason (Richard Greene) is declared bankrupt. 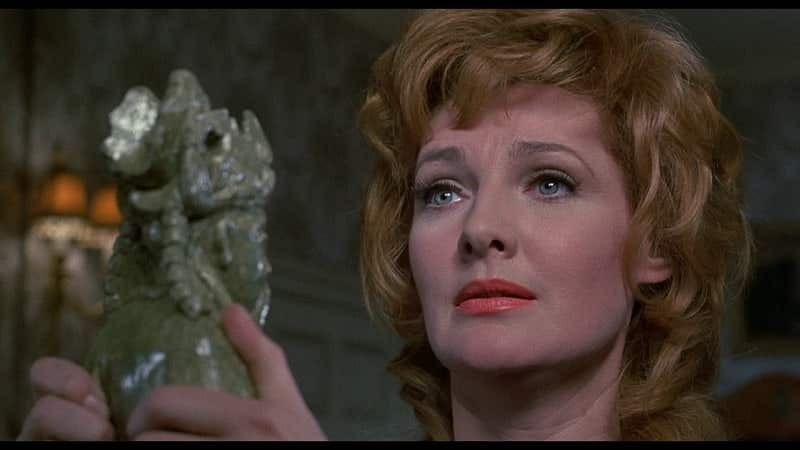 Hoping to reverse their fortunes, wife Enid (Barbara Murray) calls on a strange statue purchased in Hong Kong, which is said to give the owner three wishes. However, Enid should be very careful what she wishes for. Taking their first of two plunges into the EC Comics of the 1950’s, Amicus turned in a true classic of British horror. 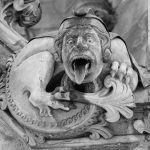 What is particularly interesting in looking at the film today is just how seamlessly these American tales fit into the milieu of Brit-horror. 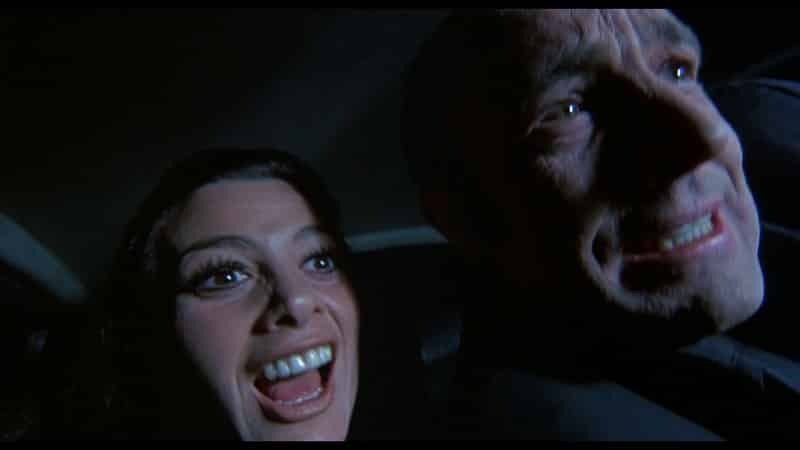 Whilst the Amicus team of Milton Subotsky and Max J. Rosenberg were indeed Americans, the remaining talents both behind and in front of the camera are British, yet everyone seems perfectly at home with the source material, knows the right notes to hit and plays them perfectly. There’s no need to insert a token US guest star to keep American distributors and backers happy – everyone knows exactly what they’re doing, and what the audience wants. But then perhaps the EC tales had a universal quality to them that transcended any cultural borders. They were simple without being simplistic, straightforward tales of revenge or karma doing its job which nevertheless held deeper layers for the reader/viewer to expand upon in their own mind. Subotsky’s screenplay (perhaps his best) completely understands this, and just lets the tales unfold in a matter of fact manner in contemporary settings, allowing the distinguished cast plenty of room to colour in the finer nuances of the characters. And what a cast… Just look at the names on that poster! 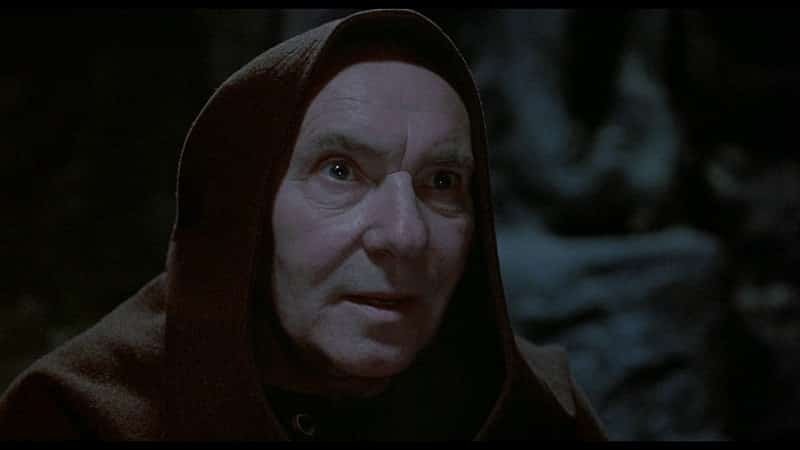 Sir Ralph Richardson is the Crypt Keeper, for crissakes! At the helm, Freddie Francis (ably assisted by cinematographer Norman Warwick) captures something of the look of the original comic strips in the use of colour. The image is very heavy on shades of grey, making the relatively muted colours stand out to striking effect. The icing on the cake is one of the very best performances Peter Cushing ever gave. At the 2nd French Convention of Fantasy Cinema, Cushing was given a richly deserved award for Best Male Actor for his moving performance as the tormented Arthur Grimsdyke. Fans of British horror will no doubt continue to debate what was Amicus’ best anthology film for as long as films are being shown, but if you had to save just one, if the world as we know it was coming to an end, and you could bury only one in a time capsule for future civilisations to study, then Tales From The Crypt might just be the one. It is, in many ways the quintessential Amicus production. It’s certainly a perfect Halloween movie. TRIVIA POINTS: Peter Cushing was originally approached to play Ralph Jason. After reading the script, he apparently told Rosenberg and Subotsky he felt he could do more with the originally wordless part of Grimsdyke. Subotsky expanded the role for Cushing, and a classic horror performance was the result. Robin Phillips was cast after Ralph Bates proved unavailable. It would be Phillips’ last screen appearance – he went on to become a respected director and artistic director in Canadian theatre. Tales From The Crypt was shot at Shepperton Studios at the same time as Tower Of Evil. The two films shared the same cave set. The opening credits sequence was shot at Highgate Cemetery. On an estimated budget of £170,000, the film took over $3,000,000 at the US box office. Tales From The Crypt is my all time fave horror anthology movie. And it has such a high rewatchability factor. Yes, it’s loads of fun! 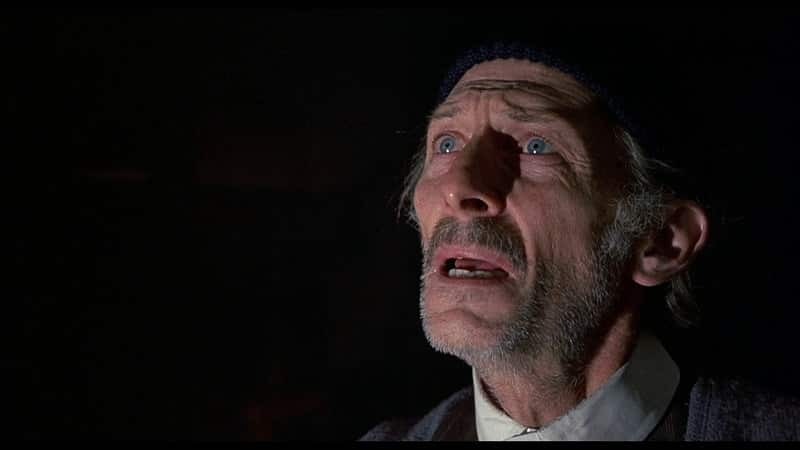 Like all anthologies, there is good and bad on show – but the segments featuring horror stalwarts Peter Cushing and Patrick Magee are absolute humdingers (and well worth the price of admission)!